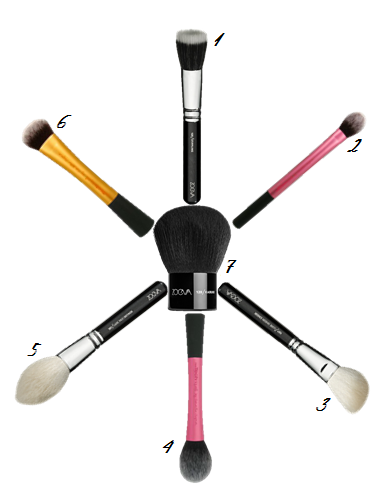 Here are the face brushes that I'm lusting over right now! Would you believe that I have never owned or even tried a Real Techniques brush? NEVER! I know, slap me on the wrist and send me to bed with no supper... it's a cardinal sin here in the blogging world. I stand and stare at them in Boots every single time I go in but I've never bought one! I love the look of the Setting Brush, the Blush Brush and the expert Face Brush. I'm in desperate need of a new brush to apply my foundation (I'm still using an Elf Powder Brush with no handle to do mine in the mornings. WHY?!) so the Expert Face Brush will fit in nicely. I also need a new blush brush as the one I currently have is a little scratchy and not too great to use. The Setting Brush isn't a necessity but I would like a brush small enough to just powder the areas I need to like under my eyes or my nose. I've been eyeing up the Zoeva brushes for a while after reading great things about them all over the internet. I want almost all of the eye brushes but that's for another post! The Stippling Brush would be great for applying cream blush which I'll be wearing more in the warmer months as it gives a healthy glow to the skin which I'm always in need of. The Luxe Sheer Cheek brush is the perfect shape for applying powder highlighter. At the moment I'm using my scratchy blush brush to apply and blend out highlighter and it just isn't working anymore! The Luxe Face Definer is the perfect shape for blending out a contour powder; I don't contour right now due to a severe lack of products but once that is resolved I'll be jumping on that bandwagon with my Luxe Face Brush in hand! A Kabuki brush is always handy to have for applying powder all over the face! A must have I think! Look out for these in future hauls and look out for some reviews! I'm bound to cave and buy them at some point. Have you tried any of these brushes? 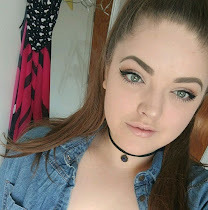 Would you recommend any other ones?